Chief Collins joined the Hamilton Police force in 1976 and has served as police chief since 2002. He retired June 1, 2018. 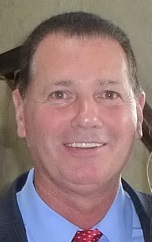 Hamilton Police Captain James Stevens became the department’s new chief following Collins’ retirement. Under Collins’ leadership, the department was recognized by the New Jersey State Association of Chiefs of Police for complying with best-practice standards across a variety of areas, including arrest procedures, use of force, and crime scene processing. As part of our 2019 Membership Drive, bring a friend who may be interested in joining the 200 Club and their ticket is free.